A Russian Air Force MiG-31K jet carries a high-precision hypersonic aero-ballistic missile Kh-47M2 Kinzhal during the Victory Day military parade to celebrate 73 years since the end of WWII and the defeat of Nazi Germany, in Moscow, Russia, Wednesday, May 9, 2018. MOSCOW (AP) — President Vladimir Putin says Russia's new weapons have no foreign equivalents and will help ensure the country's security for decades to come. Putin, speaking during Tuesday's meeting with the top military brass in Moscow, specifically mentioned the new Kinzhal hypersonic missile and the Avangard hypersonic glide vehicle, saying they have significantly bolstered Russia's military capability. Kinzhal has already been commissioned by the military. Russian Defense Minister Sergei Shoigu said the aircraft carrying missiles have flown 89 patrol missions this year. Shoigu said the Avangard will enter service with the military next year. Putin said Russia would have to respond to the planned U.S. withdrawal from the 1987 Intermediate-Range Nuclear Forces Treaty. He reaffirmed a strong denial of Washington's claim that Russia had violated the pact and blamed the U.S. for breaking it. President Vladimir Putin is bursting with pride. He’s certain Russia’s brace of new weapons have no foreign equivalents. And he believes this will give his country an edge for decades to come. President Putin, speaking at a meeting with his top military brass in Moscow, singled out his new Kinzhal hypersonic missile and the Avangard hypersonic glide vehicle, saying they have significantly bolstered Russia’s military capability. “No one has hypersonic weapons yet, but we have it,” he said. And that’s no idle boast. Also overnight, the US government admitted it is powerless to defend against these ‘game changer’ hypersonic weapons. The Government Accountability Office says their speed, altitude and maneuverability simply make them too difficult to stop. The Kinzhal missile — reportedly capable of flying as fast as 12,500km/h — has already been commissioned by Russia’s military, Defence Minister Sergei Shoigu said, adding that Mig-31 combat jets carrying the missiles have flown 89 patrol missions ver the Caspian and the Black Seas this year. Shoigu said the Avangard glider will enter service with the military in 2019. This is launched on the back of a conventional ballistic missile. But, once it is detached, it can twist, turn and dive before striking its target like a meteor. The US Government report also places fresh credibility at the feet of US President Donald Trump’s new Space Command — which was signed into existence via executive order earlier this week. President Vladimir Putin rejected a US accusation that Russia has developed a new nuclear-capable cruise missile in violation of a key treaty. Putin said he has no need for such a land-based weapon because there were already similar missiles on its ships and aircraft. Washington warned this month it would suspend its obligations under the Intermediate-Range Nuclear Forces Treaty (INF) in 60 days if Russia did not return to full compliance. The US claims the 9M729 cruise missile already breaches the INF, which bans all land-based cruise and ballistic missiles with a range of 500 to 5,500 kilometres. Putin said the Russian military has successfully tested air-launched Kh-101 and sea-launched Kalibr cruise missiles with a range of 4,500 kilometres in combat in Syria. “It has probably made our partners worry, but it doesn’t violate the INF treaty,” Putin said. Putin asserts the treaty signed by US President Ronald Reagan and Soviet leader Mikhail Gorbachev didn’t limit sea- and air-launched cruise missiles, which the Soviet Union didn’t have at the time and the United States did. Putin added, however, that Russia could easily build such land-based missiles if the US opts out of the INF Treaty, which he described as a key stabilising factor. “If we have similar air- and sea-launched systems, it wouldn’t be that difficult for us to do some research and development to put them on land if needed,” he said. The treaty resolved a crisis over Soviet nuclear-tipped ballistic missiles targeting Western capitals, but put no restrictions on other major military actors like China. Putin has said about a dozen countries were producing missiles of the type banned by the INF treaty. Russian President Vladimir Putin has warned that the threat of a nuclear war should not be discounted and criticized the U.S.' move to withdraw from an international nuclear treaty. Speaking at his annual media press conference, Putin was asked by one journalist to assess the threat of nuclear war or a third world war. Russian President Vladimir Putin warned the threat of a nuclear war should not be discounted and criticized the U.S.' move to withdraw from an international nuclear treaty. 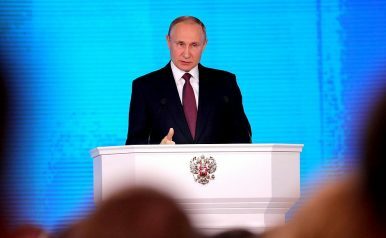 "The danger of the situation is being downplayed," Putin told the audience of over 1,000 journalists at his year-end question and answer session. "It now seems to be impossible, something without crucial importance, but at the same time if something like this would happen this would lead to the collapse of the entire civilization and maybe our planet. So this is an important question," he said via a translator. "Unfortunately, we have this trend to underestimate the current situation. There are dangers, there are risks in our day-to-day lives. What are those risks? First and foremost, the collapse of the international system of arms control, of moving away from an arms race," he said. Speaking at his annual news conference, Putin said it was hard to predict what the consequences would be of a U.S. withdrawal from the landmark Intermediate-range Nuclear Forces Treaty, signed in 1987. He also stated that an escalation of tensions that could lead to war should not be allowed to happen. "Now they're making another step and they are withdrawing from the INF treaty so what's going to come out of that? It's hard to imagine what will come next," he said. Putin's comments come after President Donald Trump said in October that he will withdraw the U.S. from the long-standing "Intermediate-Range Nuclear Forces Treaty," or INF treaty, citing Russian violations of the deal. Trump says that Russia has violated the arms agreement by building and fielding the banned weapons "for many years." Russia has denied it is in violation of the deal. The 1987 treaty prohibits Russia and the U.S. from possessing, producing or test-flying a ground-launched cruise missile having a range of 500 to 5,500 kilometers or "to possess or produce launchers of such missiles." Putin started the press conference Thursday morning by outlining Russia's economic statistics and forecasts for the coming year. Growth is estimated to have reached 1.8 percent in 2018, he said, and industrial output is estimated to have grown 3 percent in this year. He said inflation was at an "acceptable level" (it stood at 3.8 percent, as of November) and that decreasing unemployment was encouraging and would stand at 4.8 percent in 2018. "For the first time since 2011, we see a budget surplus and this is going to be around 2.1 percent of (gross domestic product)," he added. Putin's annual media question and answer session comes at an challenging time for the economy. Several key Russian sectors are subject to Western sanctions including the banking, infrastructure, oil and military industries. Sanctions were imposed after Russia's 2014 annexation of Crimea and role in a pro-Russian uprising in east Ukraine. There are restrictions on numerous individuals and entities alleged to have links to the government. The major oil exporter has also had a torrid time with volatile oil prices over the last year. A barrel of Brent crude cost around $67 in January. But the price zig-zagged throughout the spring and summer and reached around $85 in October, before falling to its current level of $55. Russia formed a close relationship with fellow oil producer, and OPEC leader, Saudi Arabia, to stabilize prices by cutting production. Amid fears of a drop in global supply both producers agreed to pump more oil in summer. In early December, that decision was reversed with the alliance deciding to cut again. Despite Russia's reliance on oil exports for much of its growth, Putin once again stressed the need for structural reforms and diversification when asked by one journalist why growth was not higher. "We cannot provide for the necessary rate of economic growth unless we change the structure of our economy," he said. Putin's annual press conference is largely seen as a way for the Kremlin to show it is transparent and accountable but the level of questioning is not usually overtly critical on Putin. According to the Russian state-owned news outlet Russia Today, which live broadcast the conference, this year's Q&A saw a record number of journalists accredited for the event, at 1,702. Last edited by vector7; December 27th, 2018 at 20:30. MOSCOW — A top Russian official says the nation's new strategic weapon has made any missile defenses useless. Deputy Prime Minister Yuri Borisov told Russian state television Thursday that the Avangard hypersonic glide vehicle flies 27 times faster than the speed of sound, making it impossible to intercept. He added that the new weapon "essentially makes missile defenses useless." Borisov spoke a day after Russian President Vladimir Putin oversaw the Avangard's reportedly successful test and hailed it as a reliable guarantee of Russia's security for decades to come. The test comes amid bitter tensions in Russia-U.S. relations. And it's designed to fly under U.S. ballistic missile defenses. Russia tested a new hypersonic weapons program on Wednesday, December 26th, designed to sneak under U.S. ballistic missile defenses. Avangard is a winged glider weapon boosted high into the atmosphere by a ballistic missile, which then descends on its target at speeds in excess of 15,000 miles an hour. Avangard will reportedly enter Russian service in 2019. Avangard is one of several new nuclear weapons programs announced in 2018 in a grim speech by Russian President Vladimir Putin. The weapons, which include the “Poseidon” nuclear apocalypse torpedo and the Burevestnik nuclear-powered cruise missile, also included the Avangard hypersonic weapon. Russia's Ministry of Defense posted footage of the test launch on YouTube. Avangard is so-called “boost glide” hypersonic weapon. Some sources claim three Avangard unmanned wing gliders are placed on a single older UR-100UTTKh intercontinental ballistic missile or newer Sarmat ICBM. Once launched, the rocket boosts Avangard gliders very high into the atmosphere. Unlike regular ICBM warheads, Avangard doesn’t go all the way up into space. At a preset altitude the warhead nose cone fairing comes off and Avangard is released, whereupon it glides to its target at hypersonic speeds. According to a statement by President Putin, Avangard reaches speeds of up to Mach 20, or 15,340 miles an hour. Yesterday’s test involved an Avangard missile launched from Dombarovsky in southwest Russia and traveling more than 3,800 miles east to successfully land at the Kura Test Range on the Kamchatka Peninsula. President Vladimir Putin oversees the Avangard hypersonic system test from Russia’s National Defense Management Center, with Defense Minister Sergei Shoigu to his right. According to Russian state media the test was overseen by Putin himself, giving the order from the National Center for Defense Management to the Strategic Missile Troops in charge. The development of these new weapons highlights Russian insecurity about American ballistic missile defenses. The U.S. has developed a number of anti-missile systems, including the Ground Based Midcourse Defense system based in Alaska and California, the SM-3 missile interceptor in Romania and U.S. Navy ships at sea, the THAAD missile system, and the Patriot PAC-3. Although these systems were built to counter incoming missiles from rogue countries such as Iran and North Korea, Russia remains concerned that the modest number of U.S. defensive missiles could be scaled upward to render its ballistic missile force obsolete. In the nightmare Russian scenario, the U.S. could launch a surprise nuclear strike against Moscow, confident that whatever missiles it didn’t destroy could be shot down. The math in this scenario doesn’t quite work. Washington would need at least 8,000 interceptors to blunt Russia’s nuclear force, an unaffordable number, but the situation still makes Moscow uneasy. In response, Russia is drumming up a whole host of new nuclear weapons to get around a missile shield. “Poseidon” would travel to U.S. territory underwater, whereupon it would deliver a devastating thermonuclear strike. The nuclear powered Buresvestnik cruise missile would have the range to literally fly for days or even weeks, flying around entire continents to slip into U.S. airspace. Avangard is important because it is an extremely fast weapon system that travels below the engagement envelopes of GBI or THAAD, both of which are designed to down warheads descending from space. Avangard could be used to attack American ballistic missile defenses, delivering a knockout blow that then opens the door for a larger nuclear strike involving more conventional (but still nuclear-armed) ICBMs. Whether Moscow believes such an attack from the U.S. is possible, Avangard is set to enter service with the Strategic Missile Troops in 2019. Russia may have eventually developed such a system anyway, but count this—and the apocalypse torpedo, and the nuclear-powered cruise missile—as yet another unanticipated outcome of the U.S. anti-missile effort. In 2018, Russian long-range aviation received five strategic missile carriers - one Tu-160M2 and four Tu-95MSM. Reports about it the Ministry of Defense of the Russian Federation. At present, this formation of VKS is in the stage of deep modernization. The plans include a cardinal renewal of the existing fleet and the development of a promising intercontinental aircraft that can use almost all types of known ammunition. The long-range aviation (YES) units of Russia in 2018 received five upgraded strategic rocket carriers - one Tu-160M ​​“White Swan” and four Tu-95MSM “Bear”. This is reported on the website of the Ministry of Defense of the Russian Federation. Next year, four more Tu-95MSMs should be delivered to the troops. The modern YA fleet consists of the Tu-160 (M / M2) and Tu-95MS (95MSM) missile carriers, the T-22M3 bombers, the Il-78 tanker and the Tu-22MR reconnaissance aircraft. Long-range aviation is part of the VKS and is the air component of Russia's Strategic Nuclear Forces. The objectives of the DA include the destruction of air bases, missile complexes, command posts, operational control centers of air defense, aircraft carrier groups, ports, power facilities and hydraulic structures. Strikes can be inflicted with both nuclear and non-nuclear weapons. Also, long-range aviation may be involved in the conduct of aerial reconnaissance. “A practical demonstration of the spatial indicators of the combat capabilities of the DA command are flights to air patrols of Tu-95MS and Tu-160 aircraft in the area of ​​Iceland and the Norwegian Sea; to the North Pole and the Aleutian Islands; along the east coast of South America, "- says the materials of the Ministry of Defense. Currently, the composition of YES (taking into account the combat vehicles in storage) has almost 120 units (16 Tu-160, 60 Tu-95, 40 Tu-22M), slightly less than 60 "strategists" (16 Tu-160 , 30 Tu-95, 12 Tu-22M). Long-range aviation VKS participated in the war in Afghanistan (1979-1989), the South Ossetian conflict (August 2008) and the Syrian operation (2015-2018). The main location for the deployment of YES RF connections is the Engels Guards Air Base in the Saratov Region. In addition to Russia, the only owners of long-range aviation are the United States and China, which is currently working on a project for the H-20 bomber, designed to replace the Xian H-6 (Soviet Tu-16). In 2015, a large-scale long-range fleet modernization program was launched in Russia. At the enterprises of the military-industrial complex (DIC), a major overhaul and repair of new on-board radio-electronic equipment (AIRT) and more advanced engines is being carried out. In addition, new ammunition was developed for YES aircraft. On November 17, 2015, the Tu-95MS used for the first time in combat the Kh-101 air-launched cruise missiles with a range of 4.5 thousand km. The blows were inflicted on the infrastructure of terrorists in Syria. Tu-95 is the oldest strategist of Russia. The first flight "Bear" made in 1952. However, as the Ministry of Defense believes, the car has not lost its relevance. The brainchild of Tupolev Design Bureau is equipped with the NK-12, the most powerful turboprop power plant in the world, developed by the Kuibyshev Engine Plant (now PJSC Kuznetsov). The aircraft engine makes it possible to overcome a distance of 10.5–15 thousand km with economical fuel consumption. The maximum speed of the vehicle is 830 km / h, the combat load is 20 tons, the crew is 7 people. Created in the second half of the 1960s, the Tu-22M became the first distant supersonic bomber in the USSR. The machine is capable of hitting targets deep behind enemy lines. It received baptism of fire during the war in Afghanistan, successfully destroying Mujahideen objects in mountainous areas by air bombs. The range of the Tu-22M in the M3 version is 6 thousand km, the maximum speed is 2.3 thousand km / h. The aircraft can withstand a combat load of up to 24 tons, its crew consists of 4 people. The newest aircraft DA VKS is the Tu-160 (“White Swan”). The car first took to the air on December 18, 1981. The uniqueness of this strategist lies in the ability to overcome the enemy's air defense lines at a speed of 2.2 thousand km / h at an altitude of 22 km. The aircraft can go to a supersonic speed in the afterburner mode and hold it for 45 minutes. The crew of the Tu-160 consists of four people, the combat load - 40-45 tons, flight range - 13.5 thousand km. The production of the White Swan was discontinued in 2008. In 2015, the leadership of the Russian Federation decided to resume the serial production of a strategist in the M2 modification at the Gorbunov Kazan Aviation Plant (KAZ, a branch of PJSC Tupolev). The first demonstration flight of the Tu-160M2 (board "Peter Deinekin") was made on January 25, 2018. 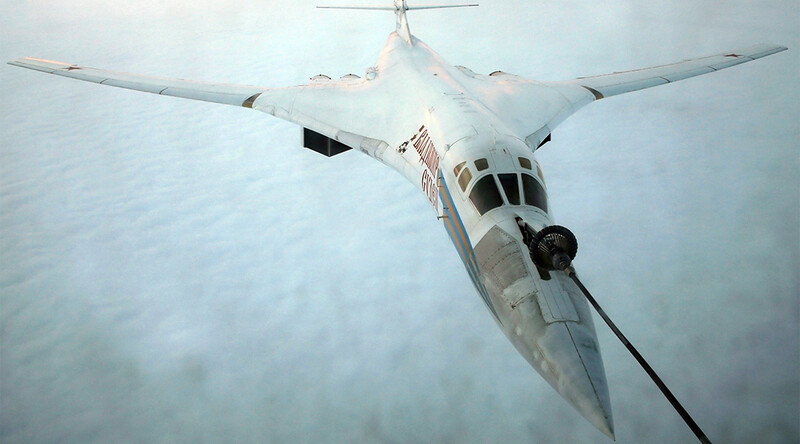 The initial plans of the Ministry of Defense included the release of 50 new Tu-160M2. Currently KAZ executes an order for the production of 10 “White Swans”. The contract worth 160 billion rubles was concluded in January 2018 during a meeting between the Deputy Minister of Defense of the Russian Federation (now Deputy Prime Minister) Yury Borisov and the head of the United Aircraft Building Corporation (UAC), Yuri Slusar. The current fleet of Tu-160 will be improved to the level of "M2". This modification has an increased flight range (by 1 thousand km compared to the previous sample) and a 10% reduction in fuel consumption due to a more economical powerplant. Also, the aircraft features a more modern layout. It implements the concept of a “glass cabin” (mechanical indicators are replaced by displays) and an “open side” (a simplified scheme for the integration of equipment components from different manufacturers). In late December 2017, in an interview with the Red Star, Lieutenant General Sergei Kobylash said that the combat effectiveness of the Tu-160M2 would be two and a half times higher than the previous model. According to him, for the updated "White Swan" "the leading positions among the strategic strike complexes will be maintained." In November 2018, UAC announced the start of the development of the new generation strategist PAK DA (a promising long-range aviation complex). The aircraft will be implemented according to the “flying wing” scheme and with extensive use of stealth technology. 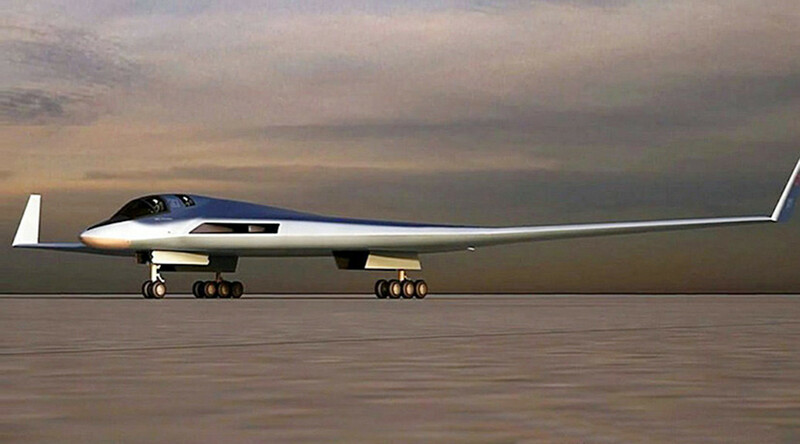 Designers Tupolev design bureau decided to sacrifice supersonic speed in favor of stealth. All the weapons of the machine will be inside the case. It is assumed that the PAK DA will be able to use almost all types of known ammunition, including the latest missiles, adjustable and guided bombs. The flight range of a promising vehicle will be about 12 thousand km, speed - up to 1000 km / h, take-off weight - 110 tons. From the information on the public procurement website it follows that the PAK DA engine will be able to work at least 600 hours without repair, and its full resource will be 8 thousand hours (about 12 years of operation). The body of the aircraft will be made of composite materials with a radio absorbing coating. Mass production of the machine will unfold in Kazan. In an interview with RT, the founder of the Military Russia portal, Dmitry Kornev, stated that the PAK DA should completely replace the long-range aircraft fleet. However, as the expert believes, the development and testing of the aircraft can be delayed, since the industry will have to solve many complex engineering problems. To give the specialists time, the Ministry of Defense is carrying out modernization of the front-line machines. “In my opinion, PAK DA is designed to solve the big problem of our long-range aviation, its technical diversity, which complicates operation and leads to increased costs for the production of individual units. For example, on all three YA combat vehicles there are different engines. On the Tu-160 - NK-32, on the Tu-95 - NK-25, on the Tu-22M3 - NK-12. This is not critical, but it is more preferable to have one type of multi-purpose attack aircraft, ”noted Kornev. According to the expert, with the advent of PAK DA, the air component of the strategic nuclear forces of the Russian Federation will reach a qualitatively new level. 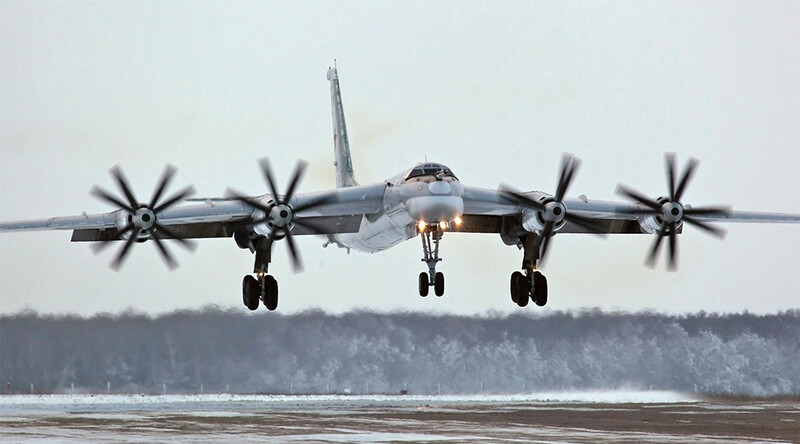 From the end of the 2020s, the plane will gradually be forced out of the Tu-95MSM and Tu-22M3M. In this case, as suggested by Kornev, the VKS will be long enough to operate the Tu-160M2. “There was a lot of controversy over the resumption of mass production of the Tu-160. Indeed, because of the large number of titanium structures, this is a very expensive car. Of course, “White Swan” is a wonderful airplane, but I adhere to the point of view that it is more expedient to send funds to the implementation of the PAK DA project and complete the production of the Tu-160 with ten production samples. It is for PAK DA that the future of our long-range aviation, the most flexible component of Russia's nuclear triad, ”concluded Kornev. The launch was meant to simulate the actual operational use of the game-changing weapon system, which Russia hopes will enter service next year. Russia has released multiple videos of a recent test of its nuclear-capable Avangard hypersonic boost-glide vehicle, offering the best imagery publicly available so far of the complete weapon system. The Kremlin says this combination of vehicle and booster rocket is now in serial production and the Russians still plan to deploy the first examples operationally in 2019. Russian forces conducted the test, meant to be operationally representative, from a silo at Dombarovsky Air Base near the country’s border with Kazakhstan on Dec. 26, 2018. The Avangard vehicle then successfully struck a designated target area at the Kura range on the Kamchatka Peninsula, which the Kremlin regularly uses as a proving ground for strategic weapons, including intercontinental ballistic missiles (ICBM), according to statements from Russian President Vladimir Putin and Russia's Ministry of Defense. There is no independent confirmation that the test met its objectives. 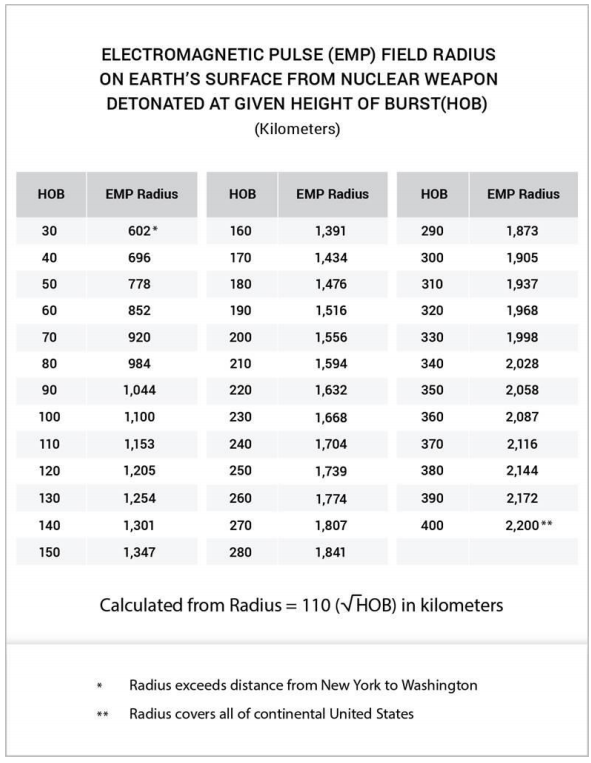 Dombarovsky has hosted operational tests of strategic weapons in the past, being home, in part, to an active division of the 31st Missile Army of the Russian Strategic Rocket Forces. In 2004, an improved R-36M2 ICBM blasted off from one its silos during a test, for example. The two videos of the Avangard launch, shot from different angles, show the silo door opening and the rocket lifting off. There is still no publicly available imagery of the hypersonic vehicle itself. The new clips do appear to confirm that the weapon system is using a refurbished rocket booster from the Soviet UR-100N UTTKh ICBM. In March 2018, Russia announced that it would put the still-in-development RS-26 Rubezh ICBM, which it had originally expected to carry the Avangard, on hold indefinitely in order to refocus resources into the development and fielding of the hypersonic weapon. Russia’s Strategic Rocket Forces only have a limited number of UR-100N UTTKh missiles still in operational service, but acquired a number of deactivated boosters from Ukraine in the early 2000s. Independent Ukraine had inherited these weapons after the fall of the Soviet Union in 1991, but subsequently deactivated the silos and missiles. The modified UR-100N UTTKh carrier rocket for Avangard also appears to use a payload shroud similar to the SHS-2 on the Strela space launch vehicle. Strela uses a modified rocket booster from a UR-100NU ICBM. The Strela space launch vehicle, which combines a modified rocket booster from a UR-100NU ICBM and the SHS-2 payload shroud. The longer shroud likely reflects the overall length of Avangard. This is undoubtedly longer than the UR-100N UTTKh’s original payload bus, which carried six multiple independently targetable reentry vehicle (MIRV) nuclear warheads. As we at The War Zone have noted in the past, substituting the UR-100N UTTKh for the RS-26 as the carrier for the Avangard vehicle makes good sense as a way to get the high-tech weapon into service faster. 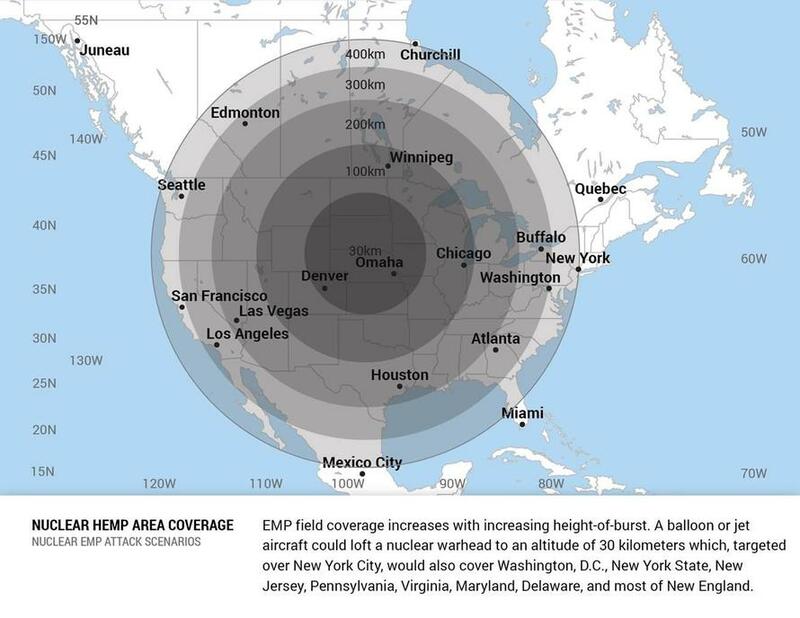 Hypersonic boost-glide vehicles eliminate a significant number of vulnerabilities traditionally associated with ICBMs, which typically have readily detectable signatures and follow predictable flight paths. Existing U.S. space-based early warning systems would be able to spot the plume of the missile launch, but the United States has no effective means of tracking Avangard, which is reportedly capable of rapid and frequent course changes along a flatter trajectory, during its mid-course flight. The U.S. military's existing ballistic missile defense shield has no way of engaging the actual Avangard vehicle, either. Of course, at present, those defensive systems are in no way capable of undermining Russia’s overall nuclear deterrent capabilities, either. All of this reduces the required capabilities of the booster rocket component of the system to the sole job of getting the hypersonic boost glide vehicle to the appropriate initial speed and altitude. The speed of the weapon itself also mitigates some of the delay in using the liquid-fueled UR-100N UTTKh, which reportedly takes around 25 minutes to prepare for launch. A standard UR-100N ICBM sits in its silo. As such, using the existing UR-100s, a known system that has been in service since 1975, is a pragmatic choice. Of the various new strategic weapons that Putin highlighted in a state-of-the-union style speech in March 2018, the Avangard boost-glide vehicle appears to be, by far, the most mature. The RS-28 Sarmat, a new heavy ICBM that is also known as the SS-X-30 Satan 2, recently suffered a new setback. The Poseidon nuclear-armed and nuclear-powered long-range torpedo/unmanned underwater vehicle and the Burevestnik nuclear-armed and nuclear-powered ground-launched cruise missile, are both still very much under development. 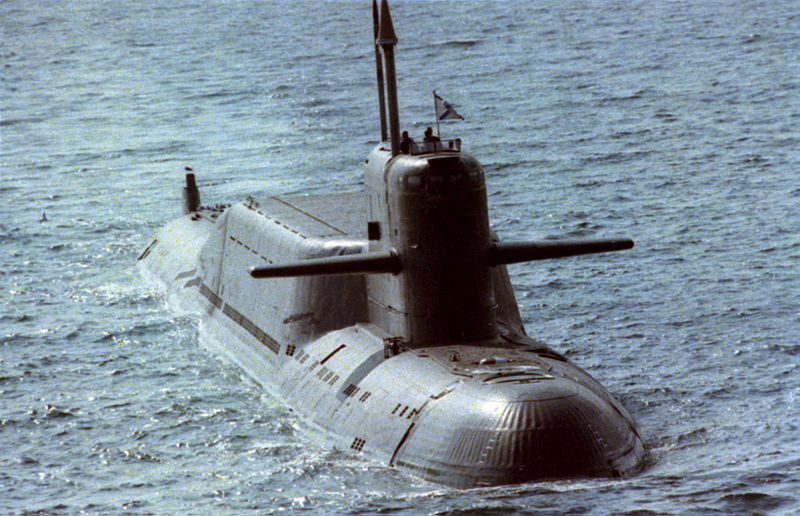 On Dec. 25, 2018, an unnamed Russian defense industry source told state-run news outlet TASS that underwater trials of Poseidon had just begun using an unnamed nuclear-powered host submarine. The Kremlin says it has also been flight testing Burevestnik, but it remains unclear whether the test weapons have a functioning nuclear-powered propulsion system yet. Putting Avangard into service on top of UR-100s is also a cost-effective decision, both in terms of production and sustainment, with existing knowledge bases and logistical networks to support the booster rocket. This is important since Russia’s persistent economic woes contributed to the RS-26 program ending up on hold and cancelation of the Barguzin rail-mobile ICBM program entirely. Limited funding and other defense industrial resources have also threatened a variety of other Russian strategic and non-strategic military modernization efforts. It remains to be seen just how rapidly the Kremlin can actually get its new hypersonic weapon into service and to what degree. That being said, using the existing rocket boosters gives the Kremlin perhaps the best chance of getting Avangard into service in the very near term. Russia would be free to re-boot the RS-26 program in the future when sufficient funds are available. It could also seek to adapt road-mobile RT-2PM2 Topol-M and RS-24 Yars IBCMs to carry the new warhead to expand its hypersonic weapons capacity without the development of entirely new missiles. Regardless, Just having units equipped with the UR-100N-based Avangard system would likely change the strategic calculus of its potential opponents, chiefly the United States. American military officials have been sounding the alarm all year about the growing threat of hypersonic weapons from both Russia and China. 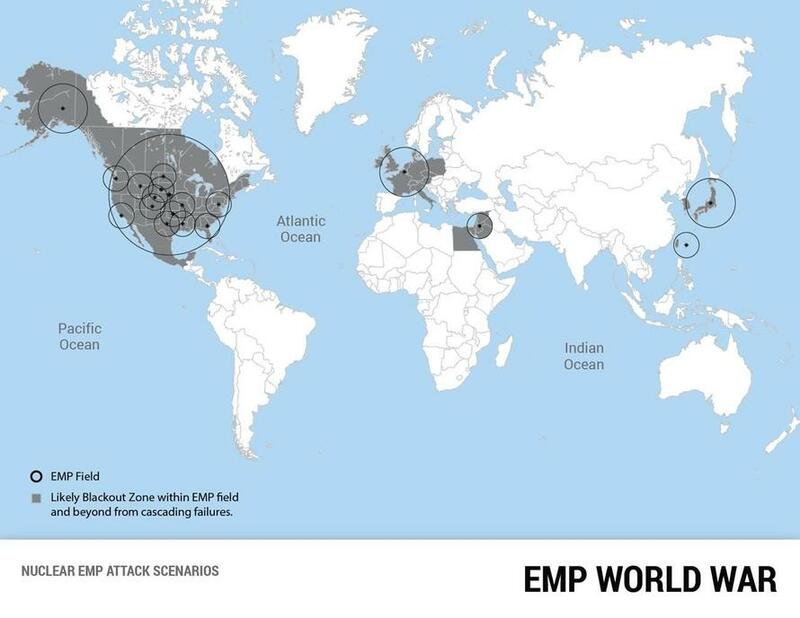 U.S. officials have warned about limited defensive options, as well as the lack of comparable U.S. systems that might be able to better hold these new weapons at risk and deter their use. The U.S. military has also initiated a program, known as Glide Breaker, to explore ways to physically intercept boost-glide weapons. The Kremlin is well aware of this reality and with Russia-U.S. relations at a recent low point, the Russians are almost certainly eager to be able to further challenge the United States with a new class of operational strategic weapon. 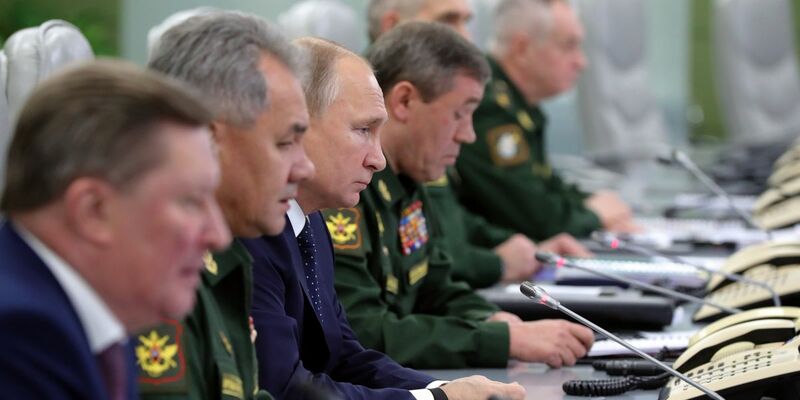 “We will continue to work according to the plans that were designed for this system and other promising systems for equipping the army and the fleet,” Putin declared at the Dec. 26, 2018 meeting. We’ll have to wait and see whether the Russians can actually field some level of operational capability with Avangard in the new year. If nothing else, the latest test shows that the Kremlin is still very committed to that goal. Our good friend and Aviation Week's defense editor Stephen Trimble has spotted an interesting detail in a report on the Avangard test from Russia's state-run Channel One television network. A previously unseen computer-generated rendering shows the complete weapon system launch three total hypersonic boost-glide vehicles, which would then be able to strike independent targets. 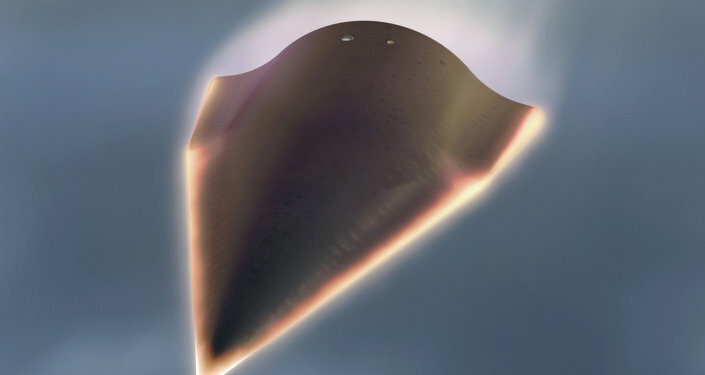 A computer-generated image showing multiple hypersonic boost-glide vehicles separating from the top of the complete Avangard weapon system. There have been reports that this could be the case in the past, but previous computer renderings had only shown a single hypersonic vehicle inside the missile's payload shroud. There is so no official pictures of the vehicle or the actual payload configuration. According to the order of President Vladimir Putin, the Ministry of Defense of Russia successfully launched the launch of the Avangard rocket with a hypersonic cruiser combat unit on Wednesday, the Kremlin press service announced. Russian President Vladimir Putin summarized with this year's results of the work of the Government of Russia and a number of current tasks, Kremlin press service announced earlier. "Putin, traditionally, on the eve of New Year, met with members of the Government. During the meeting, it is planned to discuss the results of this year's work, issues of socioeconomic development of the country, as well as a series of current tasks, "the statement said. At the beginning of the meeting with the Russian government, Putin announced the completion of successful tests of the new Russian weapon - the hyper-American "Avangard" system. "You know, in my address I spoke about new types of Russian weapons, including primarily hyper-weapons. One of them is the intercontinental system, the hyper-type system 'Avangard'. According to my order, industrial companies of the Ministry of Defense have prepared and conducted the final examinations of this system. They have just finished and with complete success, "Putin said. "This event (the launch of the 'Avangard' system) does not even have a purely national character, it goes beyond the purely national interests. This is a serious event, "Putin said. He added that a new type of Russian weapon would reliably ensure Russia's security in the coming decades and that this system will take office in Russia's Armed Forces in 2019. "A new Intercontinental Strategic System 'Avangard' will be launched in 2019 by the Russian army. The first regiment in strategic missile forces will be deployed. This is a major event in the life of the armed forces, and in the life of the country. A new type of strategic weapon appeared in Russia, "Putin said at a meeting with members of the government. Putin also thanked the members of the Government for actively engaging in the implementation of national projects and invited them, along with regional governments, to break into fulfilling their tasks. The Russian Defence Ministry, on orders from President Vladimir Putin, on Wednesday conducted a successful test launch of an Avangard missile from the Orenburg region, hitting a target in Kamchatka, the Kremlin press service reports. "Putin arrived at the National Defence Control Centre and gave the command to start the tests. The launch was conducted by combat troops of the Strategic Missile Forces from the Dombarovsky launch facility [Orenburg region]. The missile hit a mock-up target at the Kura missile test range in Kamchatka", Kremlin's press-service said. "Putin thanked the creators of Avangard, the test participants and the Ministry of Defense for their excellent work," Kremlin's press-service added. The program of flight tests of the missile of the Avangard system has been completed and makes it possible to put the system into service in time, the Kremlin's press service said in a statement Wednesday. "The flight test program has been completed, which allows the Avangard system to be put into service with the Strategic Missile Forces in due time," the Kremlin said. It said the capabilities of the tested winged glider unit make it possible to bypass the coverage areas of information and fire missile defenses, which allow it to effectively overcome all existing and prospective missile defense systems. Views can go through the report from the link given in the ‘Description’ section below. This technically means that U.S land bases and supercarrier may be vulnerable to strikes. In its response to the GAO, the Department of Defence described the report as “an accurate although sobering macro picture of how the US stands in the world against emerging threats.” In the video Defense Updates, analyses 3 Russian & Chinese Hypersonic weapons that can penetrate American defenses. Russia will start developing a new type of mid-range missile as it suspends the 1987 INF Treaty. The decision comes in response to the US halting its participation in the agreement. "I agree with the proposal… to create a ground-based hypersonic mid-range missile," President Vladimir Putin said during a meeting with the nation’s defense chief and foreign minister on Saturday. He also endorsed the army’s suggestion to make a ground-based model of the Kalibr cruise missile, which is currently fitted on planes, ships, and submarines. From recent news . . . .
No country has to date deployed a cruise missile using an on-board nuclear reactor, largely given the engineering challenges and safety concerns involved. In the late-1950s, the United States began development on prototype nuclear-powered ramjet engines as part of Project Pluto, but none of those missiles were ever deployed. The Burevestnik was announced by Putin alongside a range of new nuclear weapons in his March 2018 address. Some of the other weapons include the Avangard, a hypersonic boost-glide reentry vehicle, the Poseidon, an autonomous thermonuclear torpedo, the Sarmat, a new intercontinental-range ballistic missile, and the Kinzhal, an air-launched ballistic missile. The January test of the Burevestnik comes shortly after the release of the United States’ 2019 Missile Defense Review, which called for the development of a range of new technologies to augment existing U.S. defensive capabilities against cruise and ballistic missile threats. In March 2018, Putin justified Russia’s development of the Burevestnik and other new systems in terms of growing Russian concerns about U.S. missile defense capabilities. BREAKING! Top Russian Expert Explains How Russia Will Target US Command Centers! On February 23, the concert choir of St. Petersburg sang a song titled "On the Wages of Servicemen" in St. Isaac's Cathedral. The song, which was written in 1980 by Andrei Kozlovsky and is about a nuclear submarine preparing to bomb America, was sung during a celebration of Defender of the Fatherland Day. We can do anything for three rubles! Hello New Land of the Enemy! Our crew cheerfully sings a song. You will burn the land of the adversary! Burn in half the land of the adversary!" The choir's performance came amidst tensions between Russia and the U.S. surrounding American withdrawal from the INF Treaty after accusing Russia of violating the agreement. This video was uploaded to the Internet on February 25, 2019 and the performance went viral among Russian social media users. Greetings, the New Land of the Enemy! Not with empty hatches came for a visit. You burn, burn the Enemy’s land! We can do anything for three ruble! In half is burning the land. Unfriendly land. Last edited by vector7; March 2nd, 2019 at 22:10.